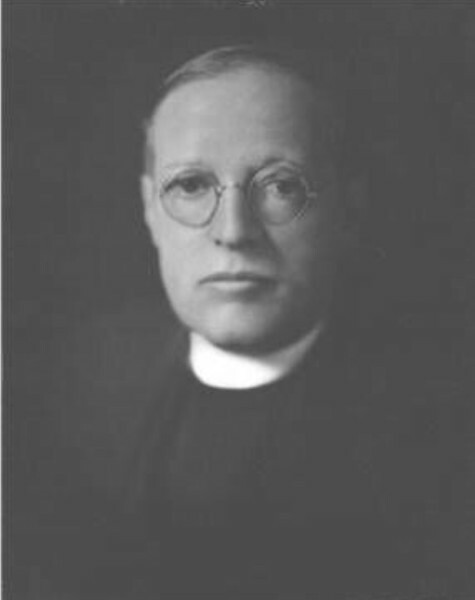 Father Bourne took office as Rector after Alfred Duane Pell retired in 1924. He insisted on full Catholic privileges and had considerable success as parish priest. After graduation from the General Seminary, he had served his title in Shrewsbury in England, then as Rector of St Luke's, Easthampton in the Diocese of Long Island. He became ill in the early 1930s, of a disease which sounds like MS, and eventually retired in 1935, expecting to have little time to live. Surprisingly, he lived on until 1962 though greatly incapacitated.